A youth randomly, and brutally, murders a taxi-driver. Piotr has just passed his law exams and been admitted to the bar. He is to defend Jacek, the young murderer. There is no evidence for the defence and no apparent motive. Jacek is put on trial, found guilty and executed by hanging. Piotr, after his first case, is left with the bitter doubt – does the legal system, in the name of the people, have the right to kill with cold blood? A Short Film About Killing was originally part of Kieslowski’s “The Decalogue”, which was perhaps one of the greatest TV series ever made. There were only 10 episodes, each one based on one of the 10 commandments. The series is extremely thought-provoking and insightful to everyday human interactions and behaviors, but also resulted in two fantastic films being made. One was A Short Film About Love, a dark film about a young boy’s obsession with an older woman. The other was a very powerful film, one that everyone should see, not only for its dark sepia style. Not only for its political commentary, but also for the deep emotions that it holds in characters, and for its very dark and sad portray of human beings. A Short Film About Killing is truly a film like no other. Its photography is rich in sepia yellow and dark orange. The world seems like a memory, a dream or a nightmare. The film looks dirty, and so too does the world it portrays. The world within the film seems dead of all life. Only existence seems to remain. Our main character Jacek, a young, bored and frustrated young man wanders through the streets like a ghost. He is never quite sure exactly where he is going, or whom he will meet. In this world of uncertainty, the feeling of dread, like something very evil is about to happen, never leaves his side. From it’s beginning, the story also follows the young lawyer Piotr, whom is about to pass his law exams. For Piotr, the world is hopeful and new. He is given a newfound responsibility to protect. Piotr is also someone who very strongly believes that the death penalty is wrong, and should never be used; he cares about the welfare of other humans. On the other side of the film stands Jacek, not only does he not care about other human beings, but also seems to gain pleasure in making them suffer. Jacek smiles on only three different occasions in the film. One after he pushes a rock off a bridge overlooking a busy road. The rock smashes into an unseen car, Jacek walks away looking pleased with the trouble he has caused. Another smile comes after he pushes an innocent man into a urinal. The third is after Jacek spits into a cup of coffee, then flicks cake at two girls watching him from a cafe window. This smile is telling of something deeper. Jacek seems to be playing and making a joke to these unsuspecting girls, who smile back at him. During the story, we also meet a dominating and rude taxi driver. He is a man who also seems to take pleasure in making others feel worse. He is a big, lazy man who looks inappropriately at women, and is very inconsiderate to bystanders around him. A series of events end in this taxi driver and Jacek meeting after Jacek gets into his taxi. The scene that follows is truly one of the most gruelling and gritty scenes in the whole of cinema. 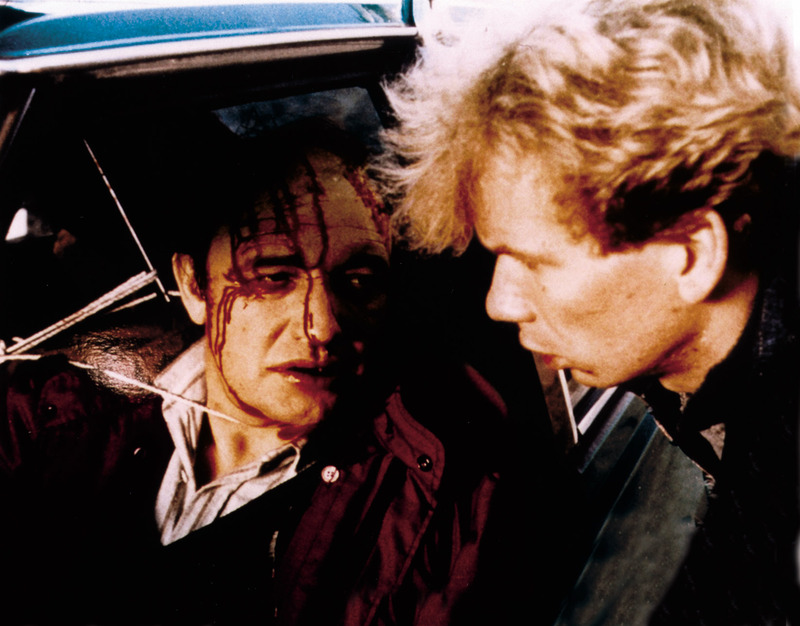 Jacek kills this taxi driver, not in a conventional and slick movie kill style, in a long, brutal and awkwardly realistic way. The killing lasts for around eight minutes, first by a strangling, the taxi driver slowly losing life. Then, by the bringing down of a huge rock that finally ends all pain. The scene needs to be endured. It is vicious and hateful, but above all an extremely realistic scene, one that works by powerful suggestion rather than over the top gore. The film becomes somewhat political after this event, despite this, it manages to never lose grasp of character analyses and emotional development. Jacek is caught and arrested for murder. In court he is defended by Piotr, but ultimately loses his case, and is charged with the death penalty. Piotr is devastated that he was not able to protect his client, and as we saw Jacek take pleasure in causing harm to people earlier in the film, we see Piotr in emotional pain from the thought of harm to another person. Some may see this level of emotion from Piotr as foolish. He cares so deeply about a man that has not only committed murder, but likes to see others in discomfort. However, this love from Piotr is the only reason we see another side to Jacek as he waits for his death. A side that is sad and longing for forgiveness, a side of love. Some of the films most powerful scenes take place at its end. Before Jacek is sent to his death, Piotr in prison visits him. There he opens up in a heartbroken speech. For the first time in the film, Jacek seems like he is capable of love and resentful of hate. He cries in the thought of his mother and family. He asks to be buried next to his late father. Jacek becomes a human in these moments. This is because someone stopped and listened to him. We see that maybe Jacek does not need to be killed, punished of course, but in a way that will help him see light in his life. However, this cannot happen, and in a gruelling scene, Jacek is sent to his death. He screams in horror as guards lead him to be hung. The killing of the taxi driver was slowly built up and resulted in a painfully slow death. The killing of Jacek builds up in a frantic and emotional way, but ends in a heartbeat. A Short Film About Killing does highlight many questions and ideas. Did Jacek deserve to die? Did the taxi driver? What makes any of the characters so different? They all exist in this dark lonely world, and are all very capable of anything. The difference is that some have seen more hope and encouragement than others, and because of this, make better choices in life. In the end we see that it was not too late for any of these characters to change. So long as they are given a chance, which does not always happen in their world or indeed ours. 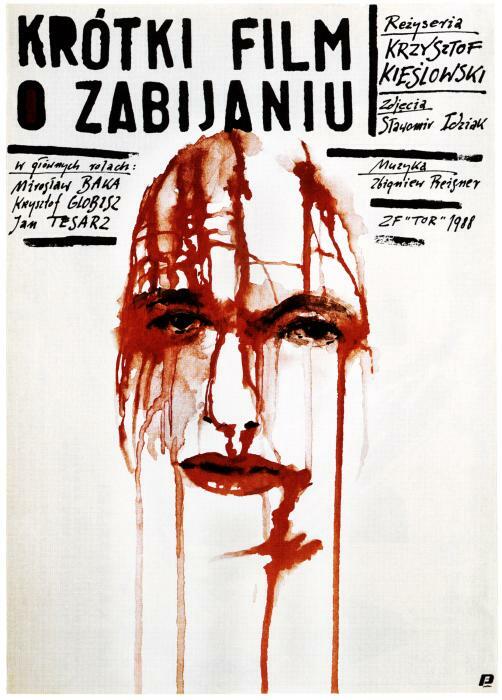 Kieslowski directs to perfection with this film, and as always blends in ideas about humanity that are well worth your time thinking about. The film is extremely dark and is home to some hard to watch scenes. Its comments on the death penalty are perhaps the strongest ever seen on film. Everyone must owe it to themselves to see A Short Film About Killing, it truly is a masterpiece. 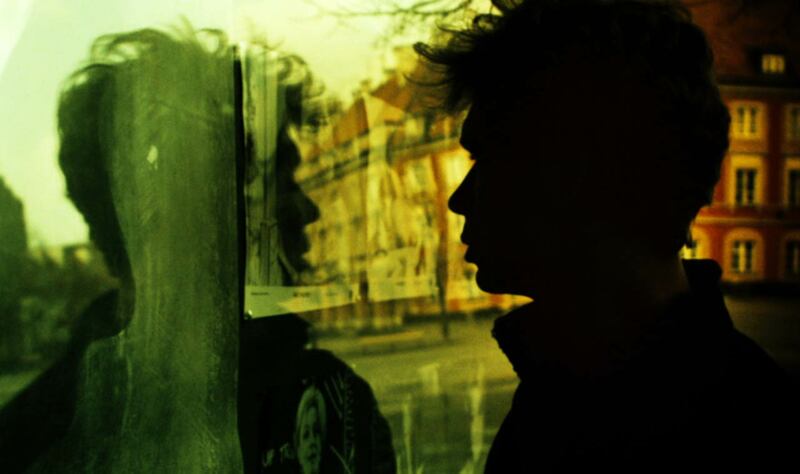 A welcome review of an excellent Polish film, and thoughtfully written Darrell. Everything you say about this work is exactly right, and I hope that your conclusions lead others to seek it out, and watch it. I hope you might be interested to read it. Thanks for bringing this film to greater attention once again. Thanks so much Pete. I hope so too. The more people see a film such as this the better. I will be very interested to read your post. A great review of a great film, you are right: everyone does need to see this, and they need to see the entire series The Decalogue: it’s funny, there’s been a lot of talk recently about what is the greatest TV series ever, with things like “Breaking Bad” and “The Wire” always mentioned. But for some reason “The Decalogue” is seldom mentioned. For me it’s quite simple: when we make first contact with aliens, we need to show them “The Decalogue” to explain who we are. I can’t think of another artwork that best exemplifies both the wonder and the awfulness of humanity. Great comment Niall. I completely agree with that 100%. It’s way better than anything I have ever seen on TV but yet is so little known of. It is the most true representation of humanity ever put onto screen. Wow, I’ve never seen this film but your review is excellent. It’s going on the watchlist for sure! Nice Review! I am very intrigued and will need to check this one out.